"A patient, kind, compassionate, professional, caring, intelligent and knowledgeable physician and person. 9. Excellent. " "Always a pleasure with Dr. Terranova - a true gem!" "Dr. Terranova is the best dr. in the world." "Dr Terranova is extremely caring and takes time to speak with my father (93 years old) and to my sister and me. He truly cares and repeats that we follow up in a few weeks to let him know how dad is doing (esp with a change in meds). very thorough and we couldn't be happier with Dr Terranova." "Dr. Terranova is an extremely caring physican. He takes the time to discuss your medical issue, discuss concerns & treatments and offered a referral to a doctor who could assist in your care." "I have in the past & will continue to recommend him. " "An excellent doctor with great empathy." "Dr. Terranova is one of the kindest, most professional, and caring doctors I have ever met! I will recommend him highly to anyone that needs a neurologist." "I waited 2 hours to see him. It was a very busy day. What I found most frustrating was during my appointment, he was responding to text messages." "Best doctor I ever had bar none." "Dr. Terranova is very kind and caring he makes sure he answers all your concerns he recently made sure that my MRI was done ASAP and had staff call me immed. with results." "I love my doctor, he's patient and kind and always open to all my questions." "Dr. Terranova is an exceptional doctor who is caring & knowledgeable." "Dr. Terranova is ALWAYS very good." "Best doctor I ever had. Saved my life." "Dr. Terranova is a excellent doctor saved my life!!" "Love the doctor. Takes great care of me. " "Professional... was knowledgeable, caring & kind." "I have recommend this dr. "
"Dr. Terranova is a kind and caring physician. I would not hesitate to recommend him to my family or friends." "Definitely a good experience. Thank you -"
"My doctor is excellent, kind and concern very much about his patients. I love him because he saved my life and make me feel better from what I was going to for years. Thanks God I meant him." "The most caring, helpful, understanding professional I know. Very respectful." "Dr. Terranova is an excellence and caring dr. My sisters and I are patient of his." 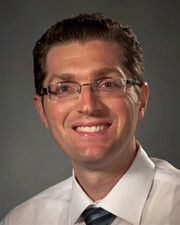 "Dr. Terranova is a caring, concerned doctor. I would not hesitate to recommend him to my friends or family." "I would recommend it since she is a person who has compassion & much kindness." "This provider had excellent bedside skills." "Everything good. #1. Dr. Santo P. Terranova." "Dr. Terranova has always been very good to me may God bless him." "Dr. Terranova is an all around amazing Dr. Not only is he friendly (which good bedside manners are hard to find these days) but he is so knowledgeable and I trust him 100%. He takes care of my entire family." "I love this Dr. Terranova! I feel very happy God gave me this dr.!" "He is the best doctor." "Dr. Terranova surprised me with how much attention paid to my care and the interest he show to help. One of the best doctors I have ever encounter." "They behaved very good in my day of my appointment because I don't know English & they looked for a translator fast." "He was king, patient and caring and walked me out which was so nice!" "Dr Terranova was very kind and made me feel comfortable. He was personal and engaging." "One of the best doctor's I've ever met!" "I experience GOOD care with Dr. Terranova." "Dr. Terranova made me feel very comfortable and explained everything in great detail. I felt like I did not just meet him for the first time." "Dr. Santos is the most kind, concerned and genuinely caring physician. I would recommend him to anyone. In addition to his knowledge." "Dr. Terranova is an outstanding physician. He is extremely kind & caring. I consider him a model doctor - The way doctors used to be before giant healthcare companies put them out of business." "This was my first visit to Dr. Terranova I found him to be a caring and knowledgeable physician." "The overall experience was very good." "Excellent doctor well mannered and soft spoken -"
"Dr. Terranora made me feel very comfortable with him from the moment he introduced himself. He connected instantly with me, showed genuine concern, very thorough with his exam and taking history. I would definitely enthusiastically recommend him to anybody." "We have never had a doctor spent so much time listening, explaining & going over tests then Dr. Terranova - excellent - I would definitely recommend him & in fact I have to other people." "Dr. Terranova took time out to be concerned about my issues." "Terranova was excellent, walked me through all of my next steps, follow ups needed, meds/vitamins to take/even walked me to appt. desk & assisted me w/getting tests done timely." "Since I've had 2 strokes this dr has been very informative & careful, concern with my wife & family." "Dr. Terranova is wonderful! So patient." "The longest time ever spent w/a doctor, took the time, listened to any problems & seemed very genuine, respectful & knowledgeable." "Didn't give me full information on prescription I was given."